International Commercial Mediation is a practical guidebook that explains how to handle and complete a mediation, as well as how to personally market the skills developed as a mediator. 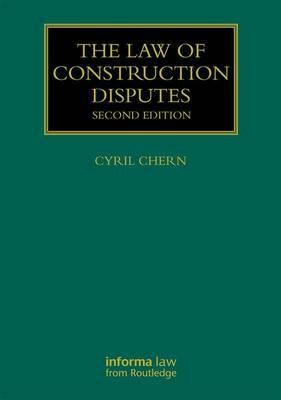 The book provides examples, supplies forms, and explains procedures of actual working mediations which can be used to adapt to individual needs. It also deals with advanced practitioner issues and the emerging law on international mediation. Buy International Commercial Mediation by Dr. Cyril Chern from Australia's Online Independent Bookstore, Boomerang Books. DO YOU WANT TO GO FIRST? This is a delightful and useful book in the current policy climate for primacy of ADR here in the UK as a device when sorting out contentious matters. 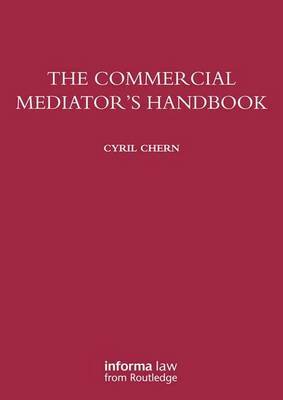 We have always felt that mediation is really about common sense and Cyril Chern’s “International Commercial Mediation” fulfils this task brilliantly in 15 chapters littered with samples and examples of what we need when mediating. A CD ROM would be a useful additional tool in what is a great ADR guide for all involved in sorting out arguing parties. 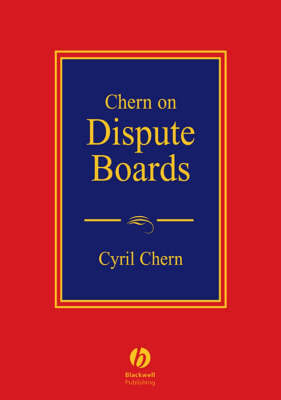 The book starts with a short history of mediation as a method of dispute resolution worldwide although author Cyril Chern’s task is to expand the little that has been written about how to mediate and what techniques can be applied to obtain a successful result. Also, little has been written about how to deal with large, complex international commercial disputes and how they are effectively administered. Here, Chern provides the knowledge necessary for those actively involved with ADR as well as those needing to learn the process for membership of the Chartered Institute of Arbitrators or the requisite courses for lawyers. In his Preface, Chern highlights two examples of mediation in North America from Toronto and California. Both were successful and form the basis of the book as the result of his experiences… and which we are suitably grateful for as he is a rightly acknowledged expert. •	How does any mediator know what is the best way to approach any dispute? •	How does the average mediator know what techniques may work better or what forms and procedures are better than the ones currently used? •	What new methods for effective dispute resolution are available and how are these best out to use? 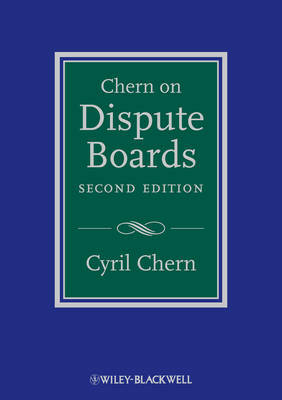 The book is a summary of Chern’s expertise in arbitration, mediation and adjudication across the world and gives this useful pointer- each of us develops their own particular style, procedures and methods and, with mediator training courses, new mediators are at least taught a method of mediation that can be successful. In other words the tricks of the trade are unveiled although we have always thought that mediation has “an individuality” about it because no two cases (or parties) will ever be the same. For those starting out on the mediator road, do look at how Tomlin orders are covered at page 190 and see the excellent samples set out including the Scott Schedule (page 157) and the various draft agreements throughout the book which makes it so valuable to the advocate mediator. Mediation has been with us since the beginning so it predates written history although scholars disagree as to when the first known example of mediation actually occurred. One thing is clear, in a new age when we may be returning to litigation as a last resort rather than a first resort, the polite question ‘do you want to go first?’ will always set the scene for a successful attempt at mediation as the initial courtesy can disarm the belligerent at the outset… and you will need Chern’s guide at the outset, too, for its sage advice and calmness of thought.